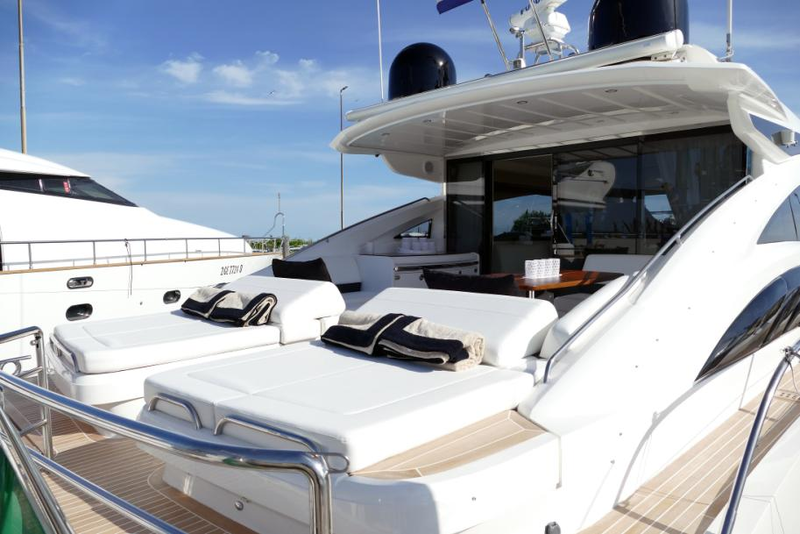 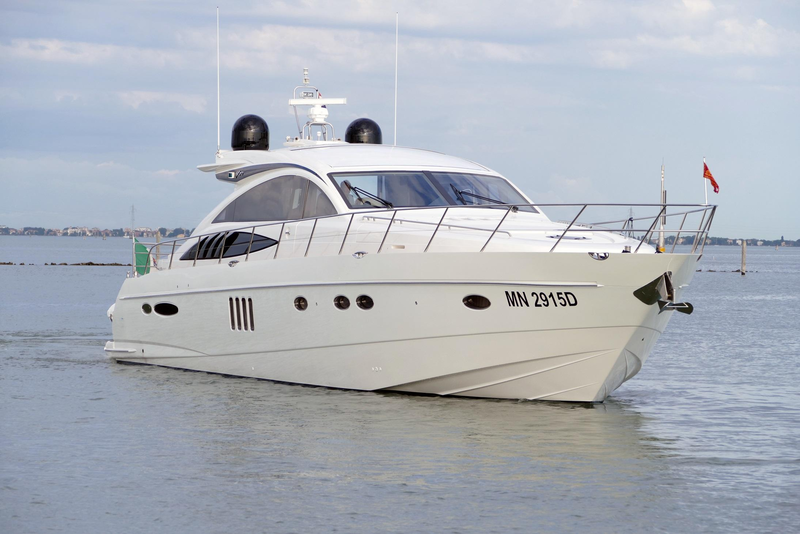 DIN IV is fantastic 22.50-metre motor yacht built by Princess Yachts and launched in 2006. 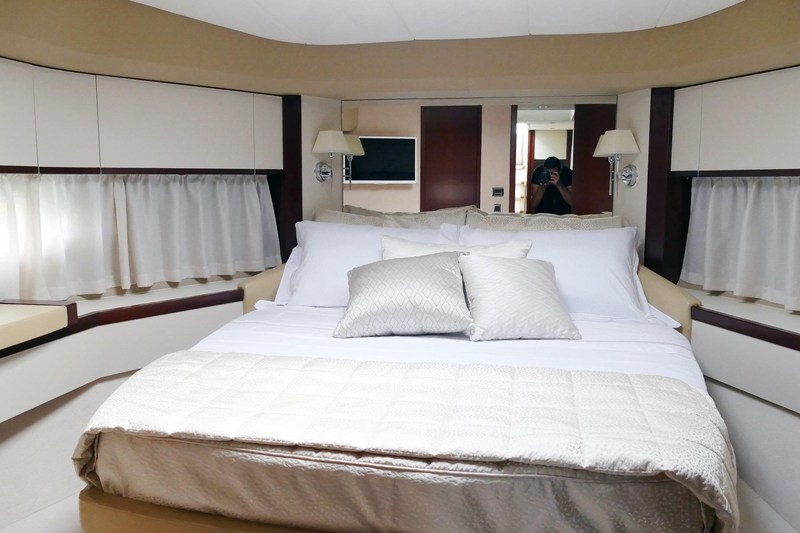 She was refitted in 2017/18 and offers modern inviting decor with accommodation in three cabins for up to six charter guests. 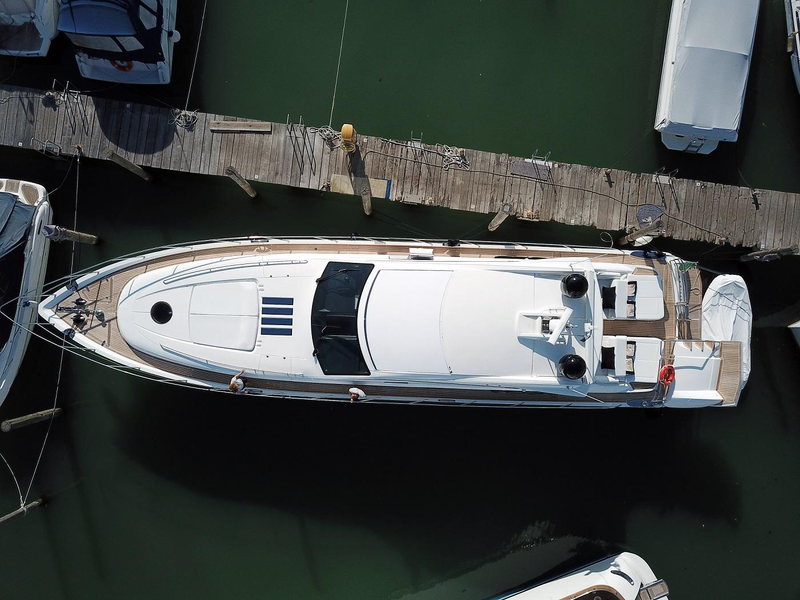 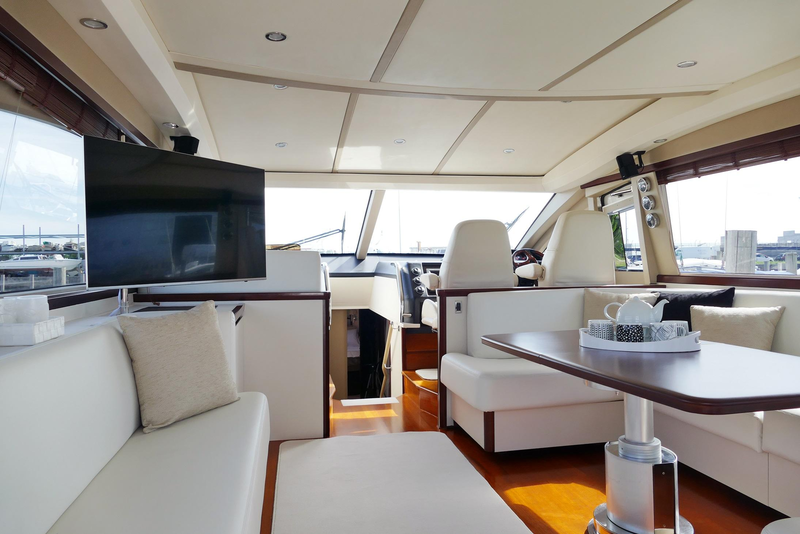 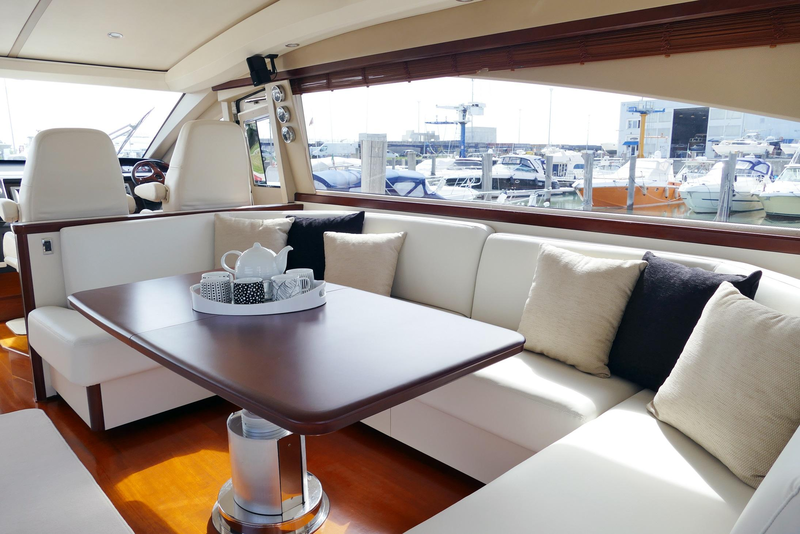 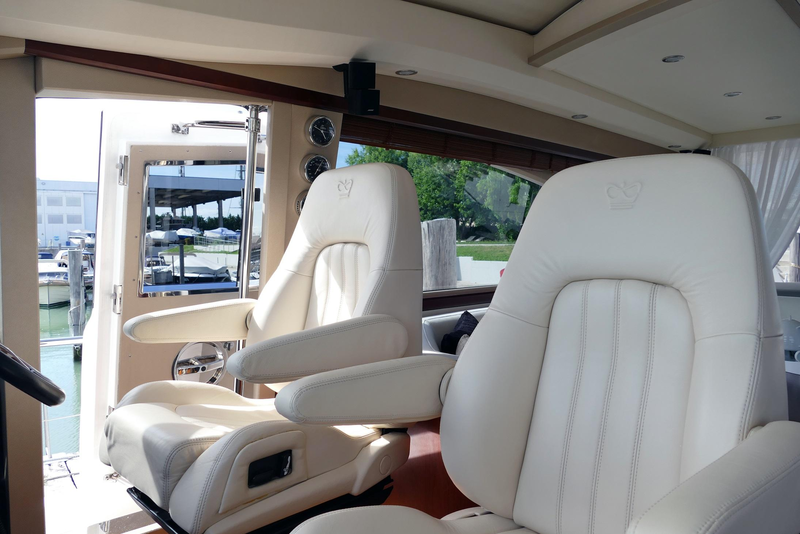 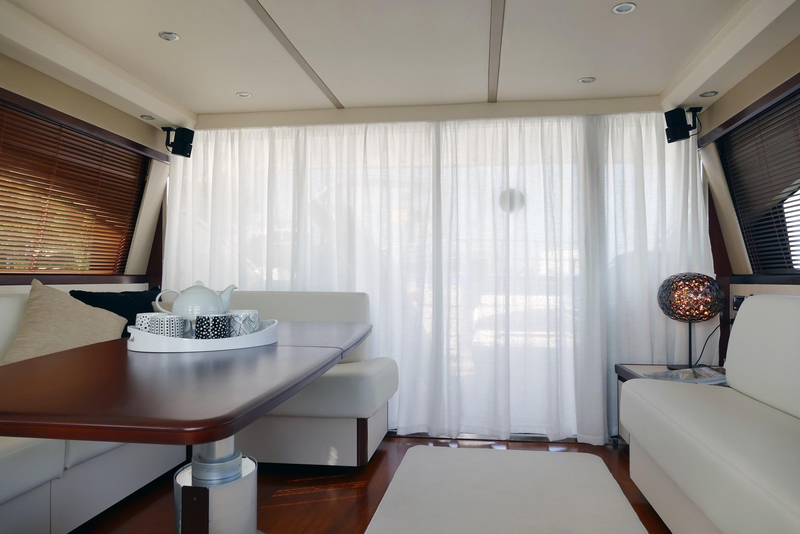 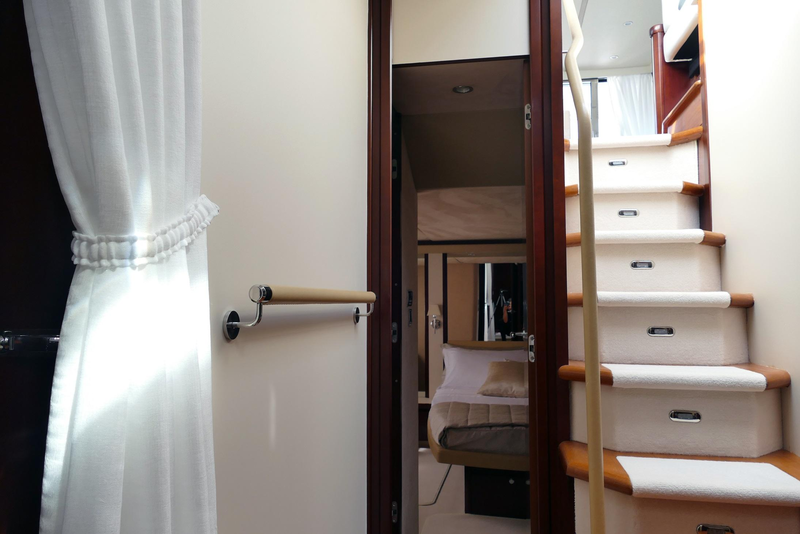 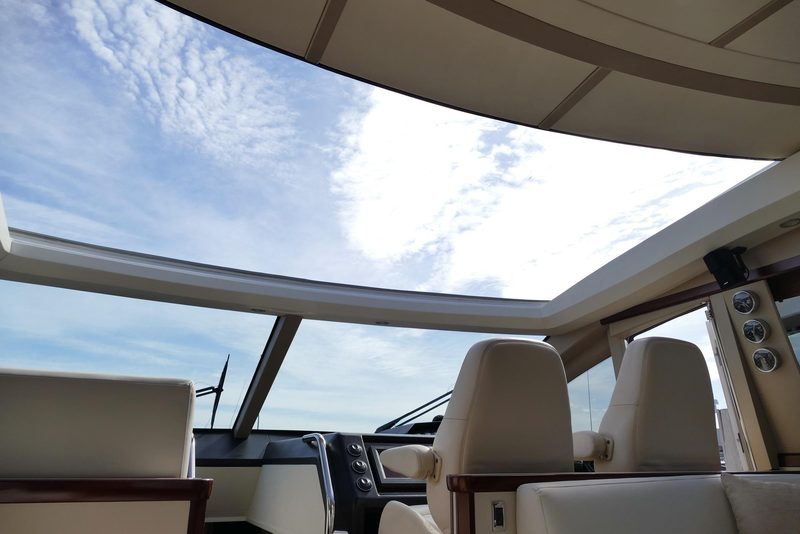 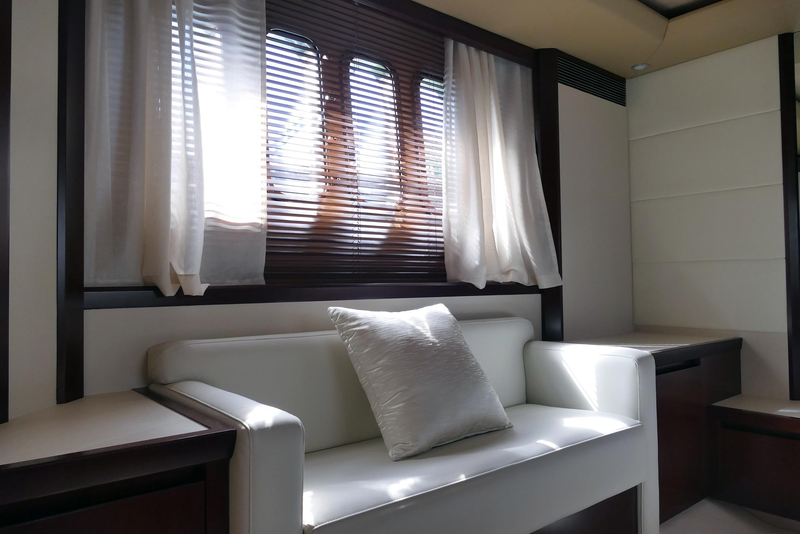 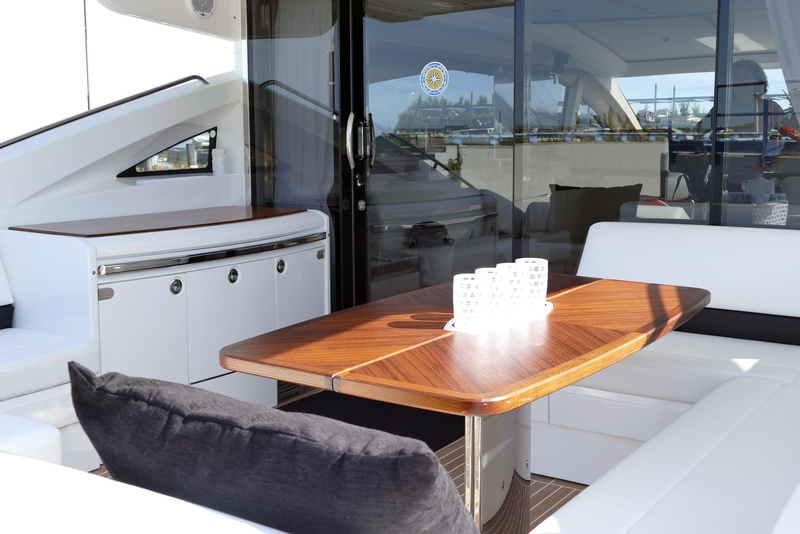 Interiors are characterised by a lovely living space, which includes a saloon/seating area, a dining area, aft of the wheelhouse as well as a fantastic aft deck with seating, alfresco dining possibility and sunbathing options. 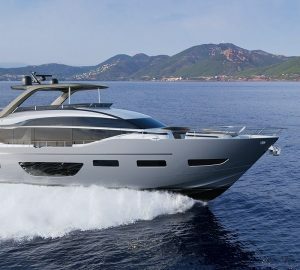 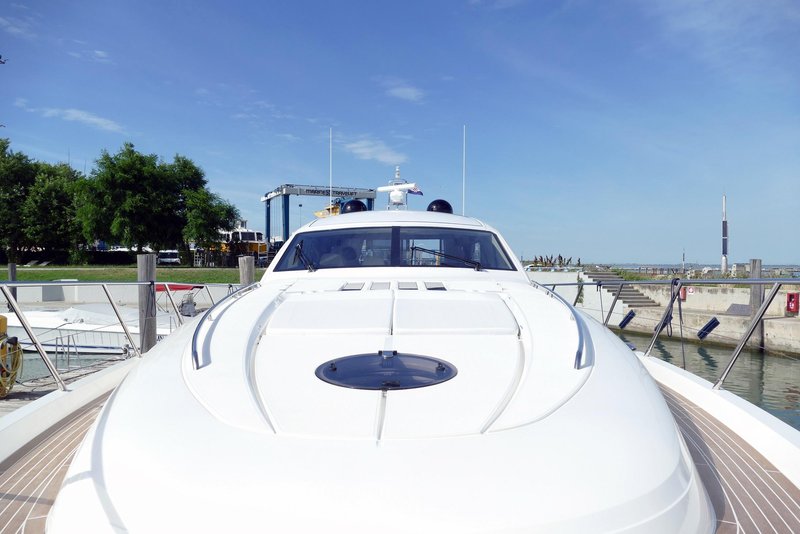 DIN IV is powered by two MAN 1,550hp Diesel engines, cruising at 28 knots. 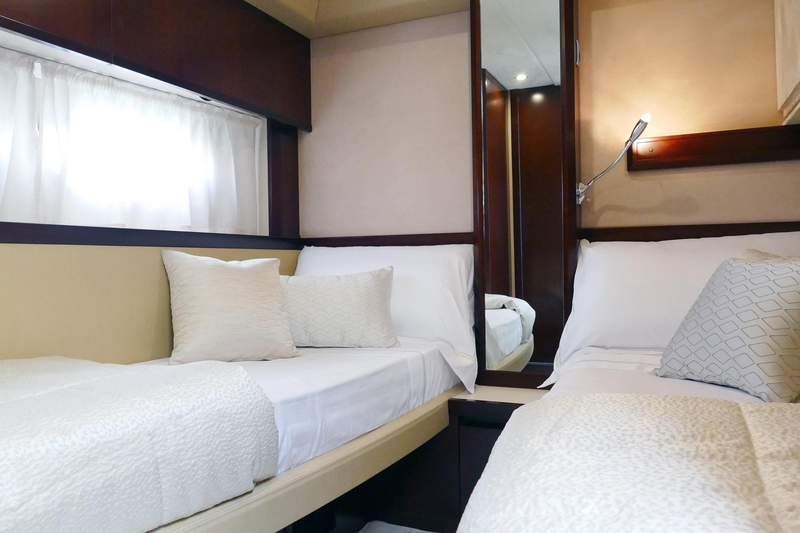 One master cabin, one VIP cabin and one twin with an extra bed are located below deck, sleeping up to seven charter guests in utmost comfort. 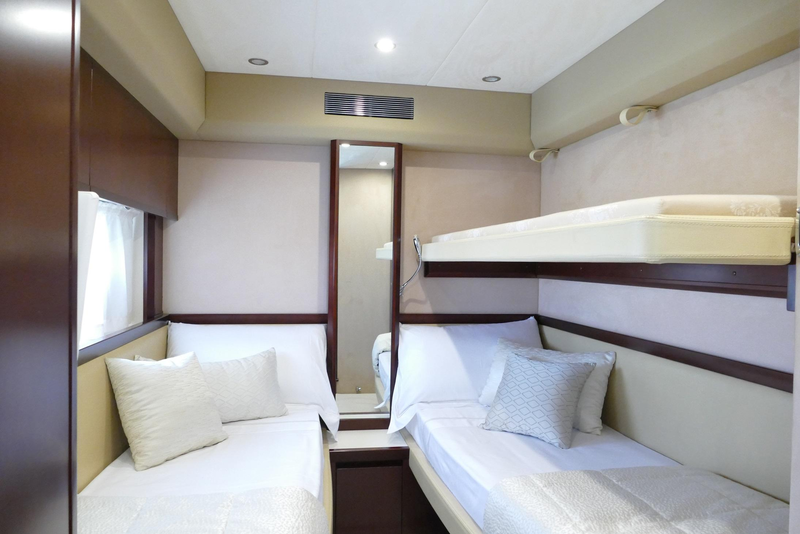 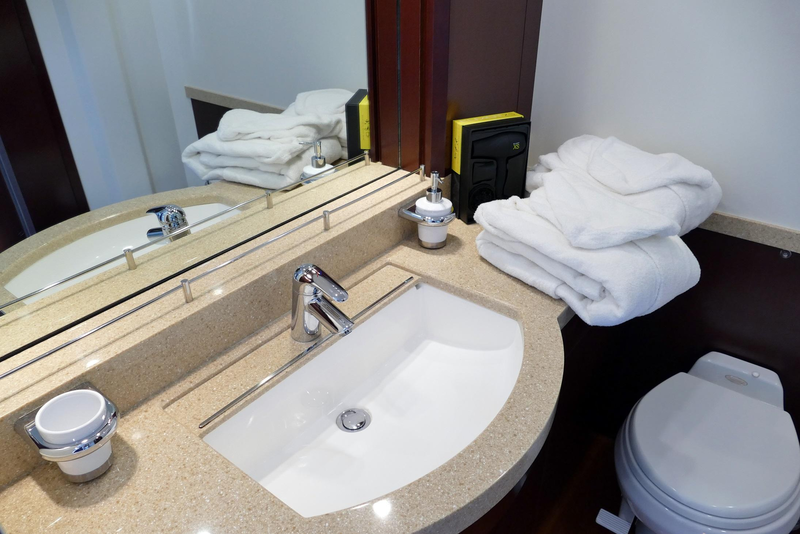 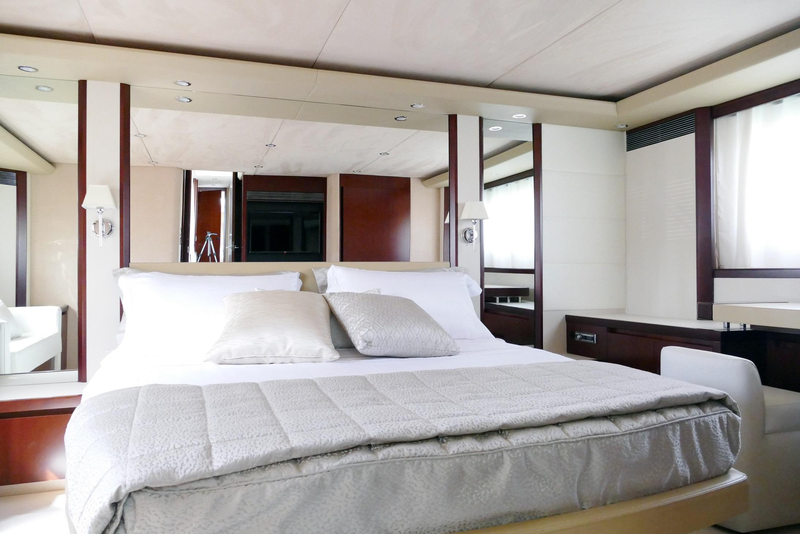 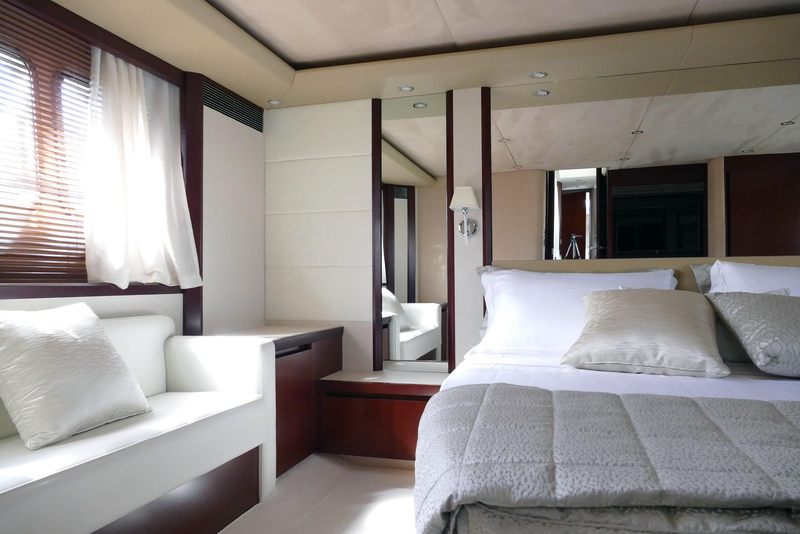 There is also a fully-equipped galley located to starboard, while the crew accommodation for two is situated aft.